This is one photo that got me really thinking what those motorcycles had to go trough back in the daze. This 1917-18 Harley IOE 61" (1000cc) have had to work hard, carrying this huge ice boat at Mjøsa, Norways biggest lake that is all frozen during winter. 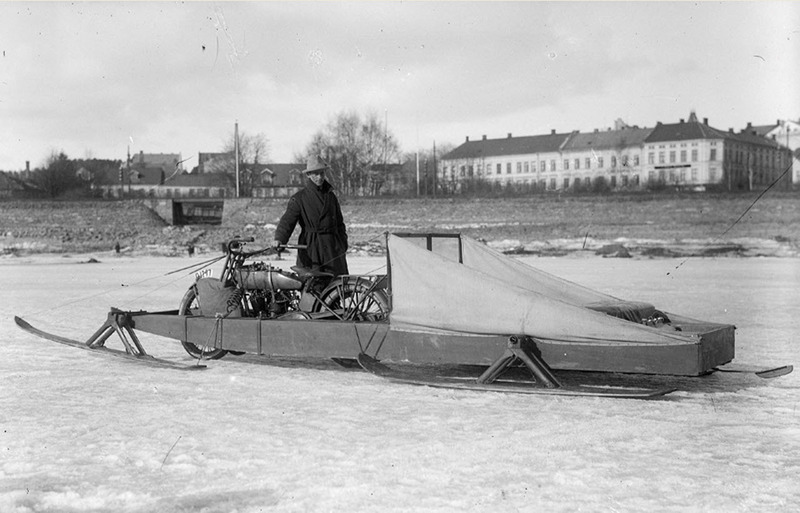 Our oldest steam vessel "Skibladner" called the white swan of Mjøsa traveled this lake during summer, but there is no doubt this Harley was the ugly duckling during winter time. Imagine when loaded with gods and passengers, oh my.